After more than 20 years, Hanson Beverage Service still delivers high-quality coffee and water to area homes and businesses. Dependable service you can trust. Delivered Right To Your Office. Keep your entire staff productive and at their best with quality beverages and breakroom supplies delivered right to your office whenever you need them. Don’t lift a finger while our dedicated delivery drivers bring the water directly to your home or office, and pick up your empty bottles when you finish them. Purified water keeps you hydrated, healthy and happy. Whether for your family or for your employees, trust us for quality and service. Whether you want purified water and guaranteed-fresh coffee for your home or office, we go above and beyond in quality, care and affordability. Our committed team brings the highest quality water and coffee products right to your front door. Keep your family healthy and hydrated with Hanson. Offering everything from hassle-free water and coffee delivery to breakroom supplies, coolers and coffee machines, trust Hanson to help your office run smoother. Great products and service! Hanson’s has been delivering coffee and water to my office for some time now and my employees love it. The water tastes very good and the K-cup coffee machine has cut down on a lot of coffee being dumped down the drain at night. My family loves our new water cooler and we may never go back to plastic water bottles! My husband and all 3 boys have started drinking more water and we I no longer find empty plastic water bottles strewn around the house. I really like that the water is purified and it tastes great. 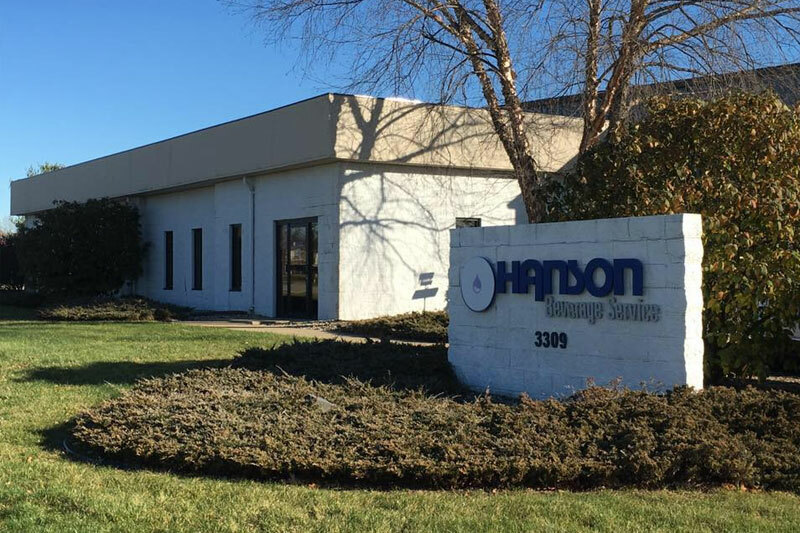 Relying on over twenty years of experience, Hanson Beverage Service’s home and office coffee delivery remains the industry standard for high quality purified water and coffee products backed by exceptional customer service. Whether you want the convenience of refreshing beverages delivered right to your home or to your office, you can count on our reliable team to make it easy and affordable every step of the way. Hanson’s selection of purified drinking water includes bottles, multi-gallon jugs and coolers — all available in a variety of sizes and treated daily through modern steam distillation, filtration and reverse osmosis. For those who crave coffee, enjoy our delicious selection of regular, decaf, gourmet and flavored blends from trusted brands such as Keurig, Gloria Jean’s, Diedrich’s and Coffee People. If ‘coffee-person’ doesn’t quite describe you, you will love our wide selection of black, green and herbal teas. Do you still need to pick up a single-cup coffee machine or break room supplies? Trust Hanson Beverage Service as your one-stop shop and your dependable delivery driver will add those to your next scheduled drop off — or get them to you even sooner if needed. Our dedicated team knows that you want your drinks delivered with as little stress as possible, so we strive to meet all of your home and office beverage supply and delivery needs accordingly. Attentive and dependable drivers will install any water coolers for you, and with every delivery they assess your water inventory to guarantee satisfaction. For more information about the unsurpassed quality water and coffee delivery from Hanson Beverage Service, please contact us here or call us at 800.439.6901.